Based in New York City with locations throughout the world, we are proud to represent Pakistani Nationals from major cities throughout Pakistan, such as: Lahore, Islamabad, Karachi, and Peshawar. Our team of expert E-2 and EB-5 lawyers have visited Pakistan on numerous occasions, including trips to the US Embassy in Islamabad. How Can a Pakistani Investor Obtain a US Visa? 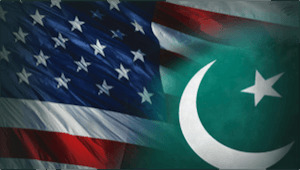 Because of treaties entered into between Pakistan and the United States in 1961, Pakistani nationals benefit from being eligible for both E-2 non-immigrant and EB-5 immigrant visas. This can be compared to Indian Nationals who are not eligible for the E-2 visa, thus are limited to applying for either the L-1 or EB-5 visas. Unlike the L-1 visa, the E-2 visa does not require the involvement of a foreign (i.e Pakistani) entity. Moreover, the E-2 visa focuses on the investment, and the anticipated US enterprise. Therefore, having an operational Pakistani business is not required for your E-2 eligibility and instead focuses on the source of your capital investment, as well as the legitimacy of the US-based entity. An E-2 visa has the advantage of potentially requiring substantially less investment than the EB-5 visa, and permits a Pakistani business owner or investor to operate and manage a business in the United States. Unlike with an E-2 visa, a successful application for an EB-5 visa results in the issuance of “green cards” for the principal investor and his immediate family but requires a minimum investment of either USD 500,000.00 or USD 1,000,000.00. 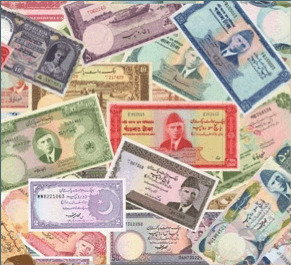 One of the challenges with investor visas can be the ability of the investor to remove his or her capital from Pakistan. Davies & Associates will assist with the creation of a Corporate and Escrow-Trust Account in the name of a new US-business to ease this transfer of funds. Furthermore, many of our clients seek to free up capital from their ownership of properties. Our Business Investor team has significant experience in ensuring that the proper documentation presented to the US Government when it comes to withdrawing capital from Pakistan and investing it in the United States. Is there a Minimum Investment for an E-2 Visa? Although under US law an investment in an E-2 business must be “substantial” there is no minimum investment requirement. While what is “substantial” depends on the type of business involved E-2 visa applications evidencing less than about USD 100,000 in investment tend to receive heightened scrutiny. The lack of clarity in what is a “substantial investment” is part of the reason why an expertly prepared business plan is essential in E-2 cases. The MBA lawyers at Davies & Associates work with a dedicated team of business analysts to prepare what we truly believe to be the very best immigration business plans available. How can Davies & Associates Assist Pakistani Nationals Obtain a US Investor Visa? Our US investor visa lawyers are some of the best credentialed US immigration lawyers in the world. Very few US immigration firms offer experienced lawyers with “ivy league” law degrees coupled with training in one the world’s 100 largest law firms. Our key difference is that our lawyers also have extensive business experience holding MBA degrees from Universities such as the Wharton School of Business. The inclusion of lawyers who can advise on issues such as the withdrawal of capital from Pakistan, and our international business visa team make us truly unique. Perhaps this the reason why to-date no visa application we have filed on behalf of a Pakistani national has ever been denied or even referred for an “RFE”. Our promise is simple. We promise to take every effort to ensure that our Pakistani clients receive the very best possible service and results available. A business that is qualified as a Pakistani E-2 business is able to sponsor certain Pakistani national employees and bring them to the United States as E-2 visa employees. The requirements of E-2 employee visa issuance are complex and we invite you to contact us for further details. Although our US immigration lawyers are based in the United States we have fully staffed affiliate offices nearby in Dubai. Our US immigration lawyers are not only available 7 days a week by phone but also frequently visit with clients in our Dubai location. As a Pakistani National, how long will I obtain the E-2 visa? And How often can I enter the United States? Pakistani Nationals have one of the most favorable E-2 Treaties in terms of “reciprocity.” This means that Pakistani Nationals are eligible to receive a multiple entry E-2 visa for as long as 5-years. Furthermore, the E-2 visa can be extended and renewed without any limitations. You can view the reciprocity schedule for Pakistani Nationals here.